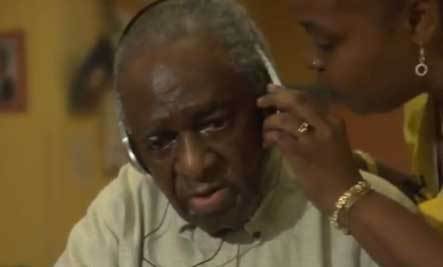 This clip, from the upcoming film Alive Inside, shows the profound effect of music on a man named Henry. "One good thing about music; -when it hits You, You feel no pain"
Thanks for sharing . . . passing around. . .
How beautiful. Shows what a powerful and invigorating effect music (especially good music) can have on a person. Thank you! Wow! my heart just lit up hearing him sing!